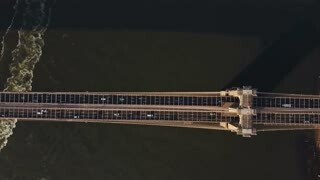 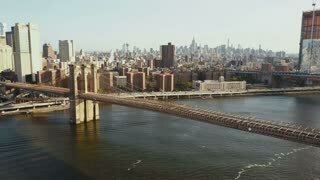 Top Aerial view of Brooklyn bridge in New York, America. 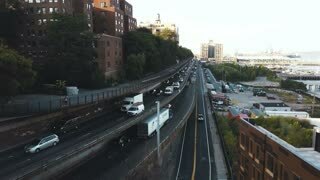 Drone flying over the traffic road, road junction in Manhattan. 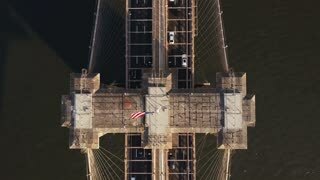 Aerial top view of Brooklyn bridge in New York, America. 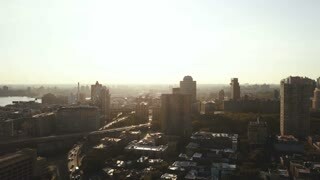 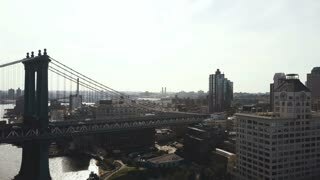 Drone flying up over the East river and traffic road. 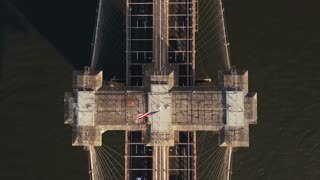 Aerial top view of Brooklyn bridge in New York, America. 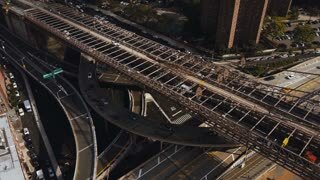 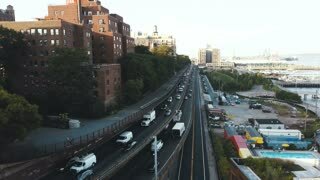 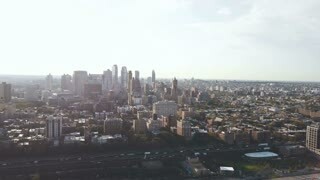 Drone flying over the East river and traffic road.